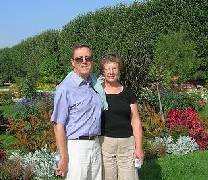 Frances and David Wilkinson retired to France from Dorset in the UK in 2006 and haven’t looked back. Although both had qualified as librarians before they moved David was working as a local government senior manager and Frances as a hospital receptionist having changed jobs ten years earlier. This is what they each have to say about their new French life..
For many years we had holidayed in France and every time we came here it felt more like returning home. We appreciated increasingly the slower pace of life, the freedom of choice which was still evident in France, and of course, the size of the country. We had dreamt for many years of one day retiring to France so decided to start working to make the dream come true. One day we saw a flyer for a French property exhibition at London’s Olympia, just days before we were due to come on holiday. We decided to go along to test the water. We had already researched different areas and decided that the Charente or Limousin would be our ideal regions because they were far enough south of the Loire to give us hotter and longer summers but to still experience the different seasons. At that time this area was not heavily populated by the British as was the Dordogne, property was very affordable and we just loved the rural feel of the area – so green and so wooded. At the exhibition we met an agent working in the Charente who proposed spending a day with us, taking us to see different properties, and so we agreed to meet up. At this time David was still working and not planning on retirement for another two to three years, so we just wanted do dip our toes in the water to see what our money might buy when the time was right and to see whether this was still where we wanted to live. We were adamant that we did not want to undertake a huge renovation project and thought we may buy a fairly modern house which was in need of a bit of TLC. We had not considered the option of having a new house built at this point. While looking for properties we were introduced to the idea of buying a plot of land and having a house built. It was daunting at first but as neither of us was too keen on spending our retirement on renovation work, it suddenly became a viable option. We were able to design our house ourselves but leave someone else to do all the work. Instead we had a joint retirement project of creating a garden from a piece of land covered with nettles and brambles. Our children are all grown-up and busy with their own lives. They, however, had mixed feelings about us moving to a foreign country. Role reversal I think – our children thinking they should prevent the ageing parents from acting irresponsibly! We were able to reassure them all that we were able to do this without falling into debt, that we would still be able to give them practical, emotional and moral support and then they realised they would have another holiday destination! When the house was still in the planning stage our daughters were committed career women and were emphatic that they would not have children. Of course, things change and we now have three beautiful grandsons. I do miss them, but we visit and I am called upon to look after two of them occasionally and we talk with them by telephone. When they are older they will be able to come and stay with us, giving their parents a mini-break. We are a close family and the distance has not made a difference to our relationships. I think we see as much of our immediate family as we would have done had we remained in England and the journey from here to London where they live is less arduous than it was from our old home. We have lived here for two years now. When we first moved out here it was like a constant holiday – we were no longer working, instead spending our time exploring and finding out how thing work. We had to metaphorically pinch ourselves often – this was the reality finally, not the dream! We came here knowing that it would be futile to make comparisons with our old life in the UK. We knew that many daily things happen differently here – shopping, going to the doctor, administrative and official procedures. We had researched as much as we could before moving over, so we did not encounter many surprises. But what has surprised us? We bought a new bed for our grandson. We bought the base and the mattress and when it was delivered the van driver remarked that we had not chosen and bought the legs, so he had brought a selection with him for us to choose and buy! We learned from that and now always ask what is included the puchase price. Exactement! We filled our first income tax form in last year – a completely different process from that in England. I was petrified that I would make a grave error, but the very kind receptionist at the Hotel des Impots befriended me and everything was completed without pain. We still have to pinch ourselves sometimes – the first time we saw a pair of hoopoes in the garden, the beautiful sound of the golden oriole, the incredible noise of the frogs in the ditch. I love the climate, the gentle pace of life and the inherent courtesy shown to everyone by French people. I love to see teenage boys shake hands with their friends when meeting, to see friends stop in the street or the shop to kiss each other unhurriedly. When entering a local shop everyone says ‘bonjour’ upon entering and ‘au revoir’ when leaving. I am now shocked by the seeming rudeness when I shop in England. I am always so surprised at night to see how clearly the stars shine. It is almost as though I could reach up and touch them! We have made good friends here – mainly English people, but also a few French. Most of the English are retired and came here for a new lease of life, as we did, and we get together regularly for all sorts of social gatherings. Friends as well as family come and visit us, continuing the friendships we forged long ago in the UK. They are naturally curious about our new life here and perhaps we have surprised them – did they think that we were not very adventurous possibly? After we had been here for a few months I felt that I needed another dimension to my life. I now volunteer weekly at the Cancer Support France office, helping to support English-speaking people who are affected by cancer. It is my way of giving a little of my good life here back to the community. I had no idea when we visited that coffee morning that I would volunteer to help. After a lifetime of working with the public in various guises and earlier leisure time being involved in the Girl Guide Movement, I was anticipating spending the rest of my life not actively doing a great deal But we went to a coffee morning, in association with McMillan, and I just felt that I had to become involved. Since then my involvement has grown – with my husband’s approval! Before we arrived here we both spoke a certain amount of French having both studied it to A Level standard. I then studied French Literature at college. Spending so many of our holidays in France just kept us on the right side of being rusty, but we knew that we needed to increase our vocabulary drastically in order to communicate about the myriad of things that crop up in everyday life. So now we attend French lessons at the centre sociale in our local town and are improving, I think. I have found the grammar very easy to assimilate, as most if it I have already learnt. What does frustrate me is the fact that I am increasing my vocabulary too slowly. This irks me. It is obviously much easier to converse with people if you have a good knowledge of the language and the French are pleased and respect those who have definitely made that effort. To me it is an act of politeness to try to learn the language of your adopted country. We are now trying to improve it further by attending conversation evenings, having met some French ladies who also attend. We are about to play Scrabble with French people too, and our newly-elected maire is keen to set up a regular afternoon session at the mairie to promote understanding and friendship between all the residents of our commune, whatever their nationality. I am looking forward to this. As soon as we arrived here we registered with a doctor as I have medication for high blood pressure. It was very easy to do and I received my carte vitale without a problem. My experience of French healthcare surpasses that of the NHS – when I telephone the surgery for an appointment I am offered one the same day; if I need blood tests these done the same day or the next, and I always collect my results on the day I have the test. At the moment we are not getting a very good exchange rate for the pound, but it seems to be cyclical. 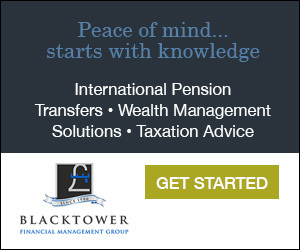 Our pensions are paid into a British bank account and we make quarterly transfers to our French account. This works and we can certainly live quite well – eating out regularly (where in England can you get a five course lunch for about £10? ), entertaining, having days out… – on our income. I don’t think this would now be the case in England. I have adjusted very well to life in France probably because I had been planning it for so long. The only thing I still find it hard to adapt to is getting to the shops before the lunchtime closing. This is probably my own fault though as I no longer feel the need to get up at the crack of dawn! At the beginning David and I used to go everywhere together – I think it was for mutual support in case one of us did not understand fully what was said, but also, I think, because doing things together was a novelty for us. Being together 24/7 did take a little getting used to, which is inevitable when one is suddenly faced with retirement together. Upon reflection I think we have made the adjustment well – not only have we got to know each other again ( and we can surprise each other about ways we have changed and things we have learned which the other did not realise) but we have also worked together and continue to support each other to make a success of our new life of retirement in France. I have developed my interest in gardening into a semi-passion and David has revisited his interest in cycling and will go off on his bike, knowing that he will not encounter loads of traffic on the road. We respect each other’s wish to occasionally be on our own, perhaps to bury one’s head in a book, maybe to window-shop or just explore locally. We have seen our move to France as a challenge to face together. Sometimes one can feel a certain frustration and isolation, especially when completing tax returns, but similar feelings can occur in the homeland if a new system is invoked by government. We have found that in our local community there is a good support system and because we now have a good circle of friends, some of whom have lived here for several years and can give us the benefit of their experience, we are forging ahead successfully with life in France. I am happy in my new life in France and am pleased to have begun my ‘third age’ in this incredibly beautiful, cultured country of contrasts. It has developed my character and my perception of the values inherent in a good life. I cannot say, hand on heart, that I would feel this way if I had stayed in England because I don’t think that I would have had the drive to change my life in any way. * research the area in which you want to live before committing yourself. * bring a dozen photocopies of your passport, birth and marriage certificates, divorce papers, driving licence, etc. * if you are not of State pensionable age but are not intending to work, ensure you have sufficient healthcare cover in place. * accept any invitation to local French events. * use French artisans where possible. * take some French lessons before coming. * look for a literal translation of everything. * expect things to happen in the same way as in England. * shun British expats who befriend you – it can be comforting to hear a familiar language. * assume that you will immediately make French friends. Since moving to France I have only returned to England for family occasions – two christenings and a wedding – and each time I was pleased to return home to France. England now seems so cramped, dirty and pressured compared to where we live now. While sometimes I do miss the occasional foray to the local village pub and the convivial atmosphere there – French bars are not quite the same – this is in no way a regret. I am very happy here in France. Life now is quite laid-back with very little stress. My biggest worry could be ‘have I got enough wood cut for the fire?’ I have lost weight with all the digging, eat more healthily as we are now able to grow our own vegetables, and enjoy a much better quality of life in our corner of rural France. I exercise my mind by watching news programmes on French television, reading French and English newspapers. I now try to read all the books that I meant to do when I was working. I have made myself tackle the history of France – in French. I meet like-minded English friends I have made since living here – we enjoy the occasional drink or meal at a bar or in each other’s houses. I am still unwinding from a life of hard and often stressful work. Perhaps next year I will decide to develop a new interest – I have the time now to do exactly what I want to do. Learning French also keeps my brain working. As well as lessons Frances and I watch French television: mostly the news and the all-important Metéo. We read the local newspaper and even find that the mass of publicité in our postbox is useful for learning new words. Speaking the language on a regular basis is really important and is the key to reaching a degree of fluency. I think it is important to try to speak French – the locals will gently correct you if you make a mistake. We are fortunate that our immediate neighbour speaks good English because we know that if we get really stuck we can turn to her for help. Not very often, and if we do revert to English, she will tut and tell us we should talk French! I must stress that the majority of French people have been unfailingly helpful and patient with us, thus minimising any fear of French bureaucracy. Although it is vital to have all the correct paperwork and to keep copies of any documentation sent to the many and various authorities. It is very important to establish contact and maintain good relations with your local mairie. The secretary at our mairie has always been helpful and informative about any queries we have had. We attend most events organised by the Commune, such as Le Repas des Anciens and the maire’s reception for la Fête des Rois. We were recently asked to help provide a British atmosphere at the local fête during our first year- this was enjoyed by the entire community. I organised the tug-of-war and the sack race. It was surprising, but rewarding, to see the enthusiasm of young teenage boys wanting to enter into the spirit of the event. No embarrassment or fear of what their peers would say here! This year we were able to vote in the local election for maire. This was confirmation of our life here – it meant that we were accepted as an integral part of the community and I feel proud of that. I retired from work four months before we made the move across the Channel. Since we live in a newly-built house much of our time is spent in the garden, which up to two years ago was just a field. At some point the land had been used by an artisan working with metal, which may explain why we have dug up so many handmade nails, lengths of wire and strange metal objects. Sometimes it seems that we are fighting a losing battle as the weeds are so prolific, but the garden is now taking shape and will one day only require maintenance, hopefully. Having a joint project like this may not be for everyone – we have friends who have approached life here differently – he does the renovation by himself and she is responsible for all the gardening. This system works for them. I have filled up my leisure-time with things that I never seemed to have time to do before. I am appreciating the laid-back approach to life, and yes, I have time to smell the coffee. I now realise that France has grave economic problems and am quite surprised to learn how poor salaries are across the spectrum of professions, compared to the UK. In contrast to the generally-held belief in Britain that the French are a lazy nation we have first-hand experience of a hard-working and committed workforce. It’s not always easy making the adjustment to spending so much time with a partner who you previously only saw mostly in the evenings and at weekends. The period of adjustment can cause a few difficulties but hopefully we are learning to be more appreciative of each other as we get to know each other again. I think we have both become more tactful – think before you speak, listen to the silences, don’t pass an immediate opinion! Now that we receive fewer euros to the pound than we did two years ago, budgeting is quite important. The French equivalent of council tax is so much less than in England and all water used is metered, making us more concious of how we use it. Our annual bill is much less than we paid in the UK. Electricity is rather more expensive, but we very rarely need to use the electric radiators as we have a wood-burning stove which heats the house adequately. (We have been known to sit with the windows open during a winter’s evening to cool down!) We are both sure that we enjoy a better lifestyle and our pensions go further than they would had we remained in England. France is a huge country of contrasting climate and scenery. Now that we have made inroads into the garden we are looking forward to exploring some of the far-distant corners of France. Generally life is very good to us. The one low point is that our very elderly neighbour has decided to contest the boundary between our properties, so we are awaiting the final decision from the geometre expert – the governmental land surveyor. It does not seem to be as terrible as a similar happening in the UK. Our properties are not as close to each other as they would be in an English village. Again, the Gallic shrug becomes evident and we learn to accept it as a normal part of French life. * Learn French before leaving the UK. Make the attempt to speak the language – French people will respect your efforts. * Research the area and French way of life as it will affect you – education, healthcare, accessibility, etc. * Buy a trailer for your car. Really useful for transporting all sorts. Most French own one – a good enough recommendation for me! * Accept that you are a guest in another country. Try to appreciate and respect the French people and their culture and outlook on life. * Expect everyone to speak English – why should they? This is their country. * Compare French ways to an equivalent English method. Integrate as far as possible into the French way of life.